Our team is committed to seeing change in young peoples lives. providing leadership to the growing ministry of Rock Solid. great joy in life is to see teens and their families find true hope for the future. 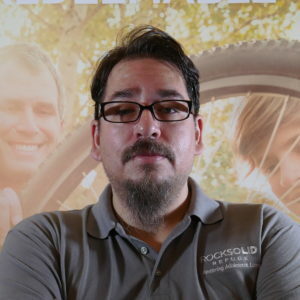 To book Dallas or another Rock Solid Refuge team member for a speaking engagement, click here. Steve, who is our on-site Counsellor holds considerable experience, working with youth in a variety of organizations in Canada and overseas. He is a graduate of Humber College and attended Tyndale University. He has served as both a Director and Course instructor for several youth programs, with certifications in Therapeutic Crises Intervention and Non Violent Crises Intervention. Micah is our Student Life Director. He has a BA in Performing Arts and Worship with a Major in Drama from Prairie Bible Institute. He has served in camp ministry, residential schools, church programs, and youth pastoring. He is happily married with three children. His hobbies include public speaking, cooking, photography, and outdoor living. Micah loves sharing his life with students and being part of God’s transforming work in their lives. 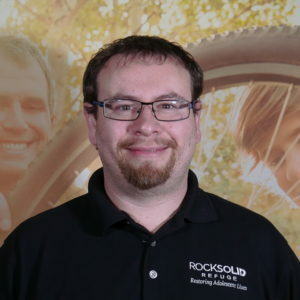 Tyler Dueck joined the RSR Team as Education Director in 2018. He relocated here with his wife and three children. 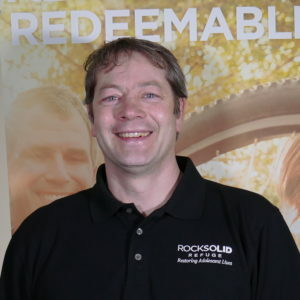 Gord Hallett is a Pastor with 23 years experience and was the Major Gifts Officer at Ambrose University for 10 years. 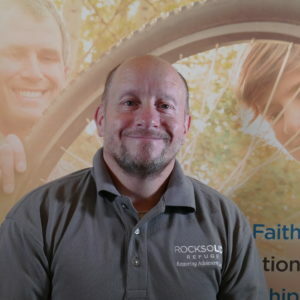 He is the owner of Faith-Based Fundraising and is leading Rock Solid Refuge's Development Department. Led by our Student Life Director, Micah Downing, our Youth Care workers are trained in Non-Violent Crisis Intervention and are the front line of change in the lives of the students. Youth Care Workers spend the most time of any staff members with the students, living with them and teaching through mentoring, role-modelling, demonstrating life skills and overseeing daily function. 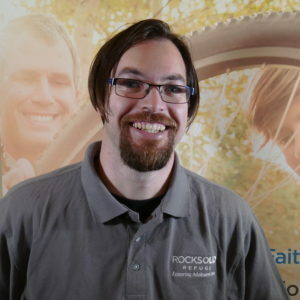 Christofer Stregger is a Lead Youth Care Worker at Rock Solid Refuge and has been with us since September 2018. Chris is married to his wonderful wife Brittany and share in a deep passion for serving the Lord as well as a love for coffee. He graduated from Millar College of the Bible in 2011 with a Bachelors of Biblical Study. 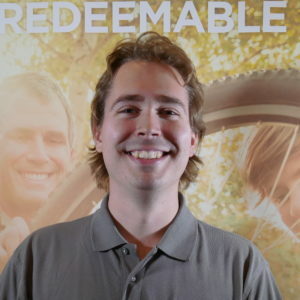 Chris grew up in Burkina Faso, West Africa as his parents were missionaries there. 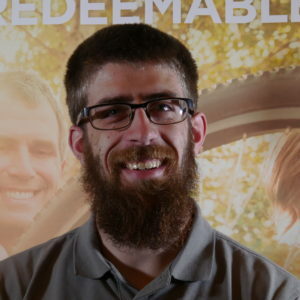 Throughout his life he has enjoyed playing soccer and has gone on a few missions trips with the purpose of using the sport to spread the Gospel. 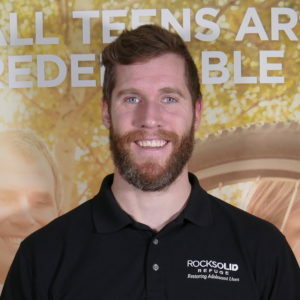 Brad Block is a Lead Youth Care Worker at Rock Solid Refuge and has been with us since September 1st 2018. 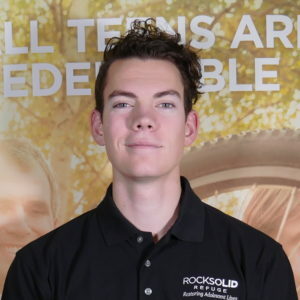 Brad is the son of our executive director Dallas Block and has lived on site through his teen years, working part time on different projects at Rock Solid as needed. He is married to his wife Rachel and has a daughter. In May of 2016 Brad got his certification to be an Equine Assisted Learning Facilitator and it is his goal to start a horse program at Rock Solid with our students. 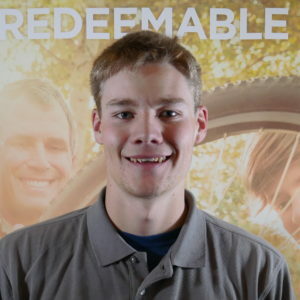 Jared Volkman is an intern from Millar College of the Bible. 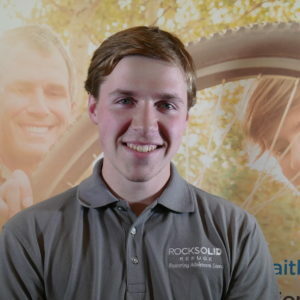 He is currently working as a Youth Care workers here at Rock Solid Refuge. He has been here since May 30, 2018. Jared grew up on a farm by New Sarepta Alberta. This is his fourth year internship through Millar and upon completion he will receive his Bachelor of Arts in Biblical Studies. 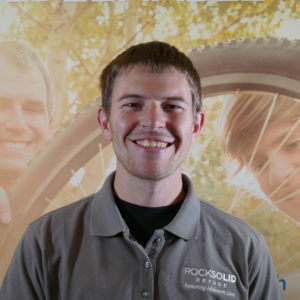 Spencer Bradley is a Youth Care Worker at Rock Solid Refuge and has been with us since September 2018. I have earned a Bachelor of Biblical Studies and a Bachelor of Arts in Strategic Ministry from Millar College of the Bible. I worked at Camp Kadesh as the property maintenance assistant prior to this position, and I grew up on a farm near the town of Langham, SK. I like reading, sports (primarily soccer and baseball) and being outside. 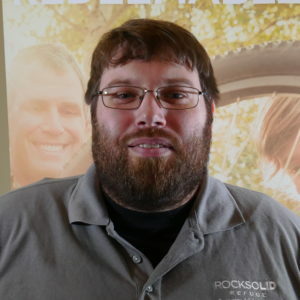 Cory Carrier has been a part of the Rock Solid team since August 2018. He has a background in the trades and over 20 years experience mentoring and teaching youth. Happily married for more than 20 years, Cory has three wonderful children. 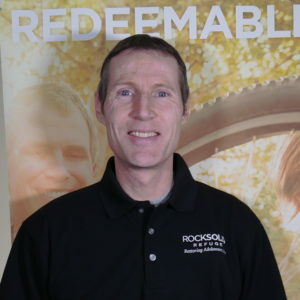 Daniel Hystad has been a Youth Care Worker for Rock Solid Refuge since 2017. 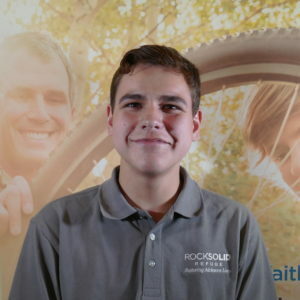 Previously a student of Rock Solid Refuge, Daniel is now working for us and is planning on pursuing a degree in Biblical Studies from Millar College in the near future. Andrew Robertson is a Youth Care Worker at Rock Solid Refuge and has been with us since 2016. He was born in Calgary, Alberta, and was raised in small town Saskatchewan. He graduated from Montana Wilderness School of the bible with a diploma in Theological and Biblical studies. Some of his hobbies include Fingerstyle Guitar, Videography, Camping/Hiking, and travelling. Led by our Education Director, Tyler Dueck, our Education Staff are trained in Non-Violent Crisis Intervention and spend the day teaching and leading the students as they progress through their school work in our Qualified Independent School. It is our desire to help students, many of whom have historically struggled to engage well in school, strive for their full potential, both academically and in their daily lives. Bachelor of Education. Nathan did his teaching practicum at the Maple Leaf School in Dalian, China. He and his wife are from Osoyoos, British Columbia, and they have three children. James has been at Rock Solid since 2014. He is one of the Lead Youth Care Workers, working directly with the students and managing the Youth Care Workers on rotating shifts. He holds a B.A. in Biblical and General Studies from Briercrest and has several years’ experience serving as associate and lead pastors throughout the Prairie Provinces. He is married to Julie, and they have three daughters. Day to day life would be impossible without the people responsible for making sure bills are paid, phones are answered, and the food is plentiful. Doing their work around the students, the administration team are also role-models to the students exemplifying what it looks like to live a life of service and love to those around them. 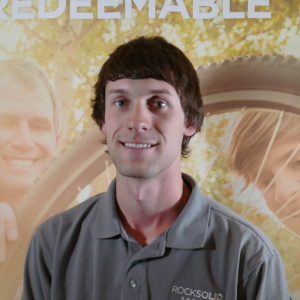 Dustin is our Head Administrator here at Rock Solid Refuge. He is originally from Geary, New Brunswick where he has been involved in many ministries over the years. These include Youth Ministry, Children’s Ministry, Music Ministry and Missions. 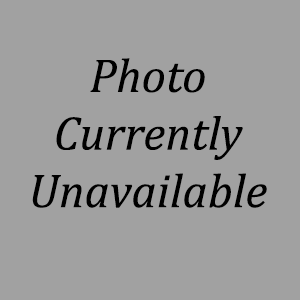 He has a Bachelor’s of Theology from New Brunswick Bible Institute and an degree in Business Administration from New Brunswick Community College. He is an avid sports fan and has a passion for music. Karl is responsible for the maintenance of Rock Solid Refuge property and facilities. He has worked in the construction industry for the past four years in various roles, from carpentry and framing to plumbing and electrical. He enjoys sharing his skills with the students, learning new skills, and working with his hands. 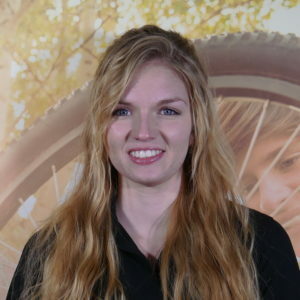 Melissa Neufeld is our Administrative Assistant and has been working with RSR since November, 2018. Melissa grew up on a farm located outside of a small town in central Alberta before she moved to Shaunavon. Because of her love for horses, she became a certified Equine Massage Therapist in 2017. Her aspiration is to pursue her own business in the equine world full time. Melissa enjoys every opportunity she can to serve and grow her relationship with God. 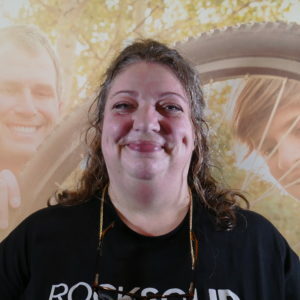 Jenn Batdorf has been the head cook at Rock Solid Refuge since August 2018. She previously cooked at the Salvation Army and Mental Health in Swift Current. Jenn grew up in the Southwest Saskatchewan and has lived in Wymark with her husband for the last 20 years . She demonstrates her love for Jesus and for the students through her incredible cooking. 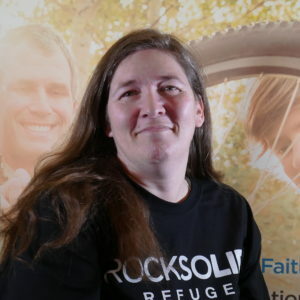 Julie has been working at Rock Solid Refuge since 2014 and is currently our Bookkeeper. Besides bookkeeping, she loves serving God by investing her gifts, such as sewing, into the students. 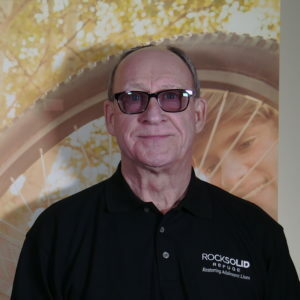 Led by our Development Director, Gord Hallett, our Development Staff are dedicated to spreading the gospel and the work of Rock Solid through our fundraising and presentations. We are passionate about the mission and purpose of the program and work hard to see Rock Solid grow and benefit more teens and families. 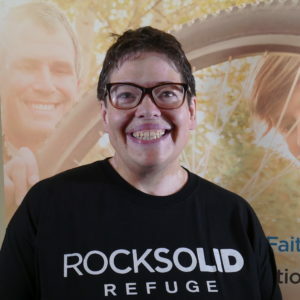 Jenny Braithwaite joined Rock Solid Refuge in February of 2018 as a Development Assistant. She brings 14 years’ experience in Marketing and Promotions in addition to a decade of Administration Management. Her motivation to work for a greater good and not just a career job brought her to RSR. She feels a responsibility to put her experience, talents and efforts toward a worthy cause – and restoring the lives of young men to help them have success in life – seems an ideal fit. Paul comes to us from Burns Lake, BC. He has served Rock Solid in various staff roles since May of 2010, most recently as an Education Assistant though he has also put his technological saaviness to use assisting our Development Department. He is married to Christine who works in child care, together they have a beautiful 2-year old son and they live in Shaunavon.